You Craft Me Up! 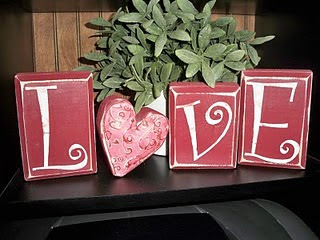 : Valentine’s Day Craft Night! So the voting wasn’t a landslide like I thought it was going to be! 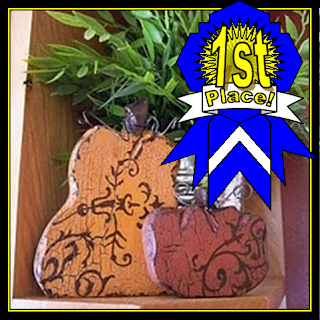 So I will offer all of the crafts except the wood sign (sorry! There were only 5 votes) So, the time has now come to sign up for the crafts! As of now, I am planning on doing it on Thursday, January 27th @ 7:00 (unless you would all rather start earlier @ 6:00. Please sign up ASAP so I can get started on the orders- I am going to need all the time I can get (it’s only 2 weeks away!! Also, I will offer a black and white and red paper option- so let me know if that is what you prefer. DISCLAIMER! I made my blocks and letters 4 years ago, so I will not be able to get the exact same paper! But you know me, I will have plenty of cute options for you to choose from, and I will stay true to style and get the closest possible to my originals. CAN'T WAIT!!! I LOVE craft nights!!! Great ideas! Gave me an idea of my own. I want 3 all together, love blocks, hugs and kisses and be mine. Decided not on the one with the dowels huh? Darn.. Heidi S.
I decided to go with the love blocks and hugs & kisses. can't wait! I'm so excited! 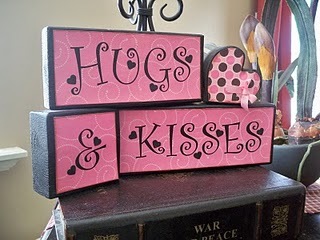 Sign me up for the Hugs and Kisses Blocks, Love letters and the Be Mine Blocks. I can't wait!! Sign me up for the Love Blocks and the Love Letters. If you can, I would "love" to have the love blocks in the black white and red you mentioned. So excited! I want to do the love blocks and the hugs and kisses. I would prefer the red black and white options. I also have a big box of wood for you I'll bring over. Thank you so much for doing this. It is so fun. Woohoo!! I want to do the Love letters, and the Hugs and Kisses blocks. Thanks girl! You're awesome! I want to do the be mine and the hugs and kisses! They are so cute! Thanks! Love Blocks and Hugs and Kisses blocks..thanks! Love blocks, hugs and kisses blocks and be mine! YAY! Let me know if you need help. I've never really been crafty before so I think I'll start slow and do the Love blocks. I'm really excited to learn from a pro! I would like to do the love blocks and hugs and kisses blocks. Thanks! I would like to do the Love blocks and Hugs and Kisses. I would like the Hugs & Kisses in the red, white paper option. Oh no! There you go...another 2 weeks without you :(...selfishly I was hoping no one would sign up! You are one talented lady! I want the love letters and be mine blocks. Thanks for sharing your talent with us, it's great, can't wait. Two more Hugs and Kisses for me. I want to do 2 Love blocks and 1 Be Mine. Thanks a ton! Look at you! Seriously so cute! You are going to have the whole neighborhood decorated! 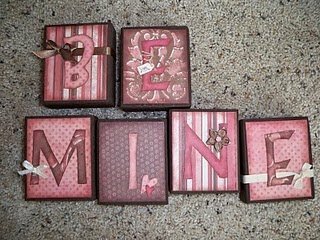 I want to do the Love Letters and the Be Mine Blocks. I may have more orders for you, some of my family may want to do them! When do you need to know by? And when do you need the money? I thought I wrote a comment on here I don't see it. I would like one of each please. Love blocks, love letters, be mine, and hugs and kisses. Thanks Maria! I won't be able to come that day but if it's easy to do on my own I would love to do the Love blocks and the Hugs and Kisses in the red, black, and white option. Let me know and I can give the money to Erin to give to you. Thanks! 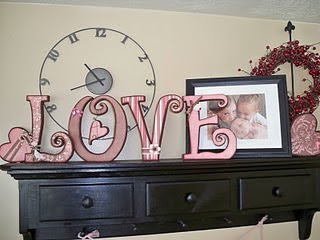 It's Ashley Thomas: more to my order 1 - Love Blocks, 1 - Love Letters, and 1 Hugs & Kisses. I would love to do the LOVE blocks and the Hugs and Kisses. Very excited! I would like to do the love letters! So cute! I want to do 2 Love blocks and 1 Be Mine. Thanks!!! The black, red and white sounds really cute--can we choose that night, or do we need to decide before?? I want to do a hugs and kisses too--black, white and red. Thanks!!! I would like to add the LOVE letters too. Thanks a million! I posted above that I wanted to do the LOVE Letters and forgot to put I would prefer Red/Black/White option, I'm sorry! And I would like to add the Love blocks, if that is ok? Thank You! Thank you! I would like to add one more love block if that is possible. Thank you so much! Can't Wait! I want a LOVE blocks but don't think I will be able to come. Can I just pick it up?